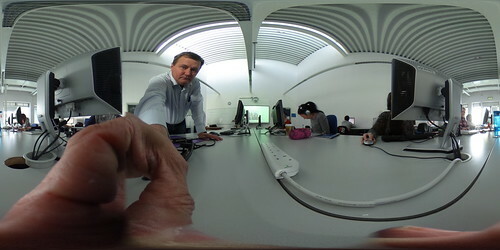 Click on image to see 360 view (not in Safari). I HAVE LEARNED a lot while watching young students learning real world skills. While many of my students want to develop skills they need in the workplace, some of these students are not challenged to develop samples of work they can showcase during job interviews. I think graduates need to be able to point to work they have completed as students. That could be products or services developed during structured work experience, references from supervisors, or eportfolio pieces. As a third level lecturer at the Limerick Institute of Technology, I am trying to ensure everyone passing through any of my academic modules takes away a useful playbook or a collection of business intelligence curated in a Classroom OneNote (see screenshot below). MY JOB INVOLVES training students to join a rapidly evolving work force. If I do things right, those students graduate with an awareness that they need to do more than convert data from one format to another. I hope that is happening but I'm very concerned about an emerging trend. YOU HAVE TO ADMIRE the courage on both sides of an recorded interview when it happens during Feilte, the annual Teaching Council of Ireland Conference in Ireland. 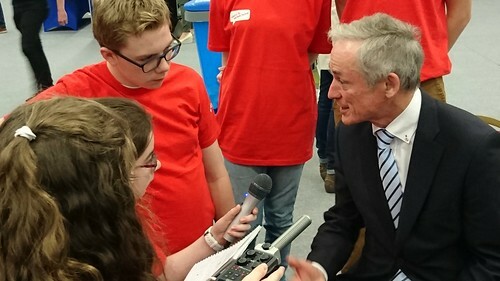 This morning, Minister for Education Richard Bruton sat in the hot seat while two teens interviewed him about matters affecting their classrooms today. If you click on the MP3 file above, you get a behind-the-scenes audio of the interview with some unscripted comments from the team and the Minister that establish how conversational the interview actually was--without any handlers vetting the questions beforehand and with Minister Bruton trusting the YMT crew with their broadcast-quality equipment.